I was raised by artistic loving parents who homesteaded 80 acres on the Santa Margarita River in Fallbrook, California. I wore dresses my mother made from flower sacks, and was barefoot until I started school. This down to earth upbringing instilled a love of nature, creativity and a respect for individuality. Taking a pottery class taught by David Cuzick in 1989 introduced me to clay. David and I married in 1996. He continues to be the most positive influence on my work. Intricate patterns are hand carved into the clay surface when it is leather hard. Addition depth is achieved by applying raised slip trailing designs. 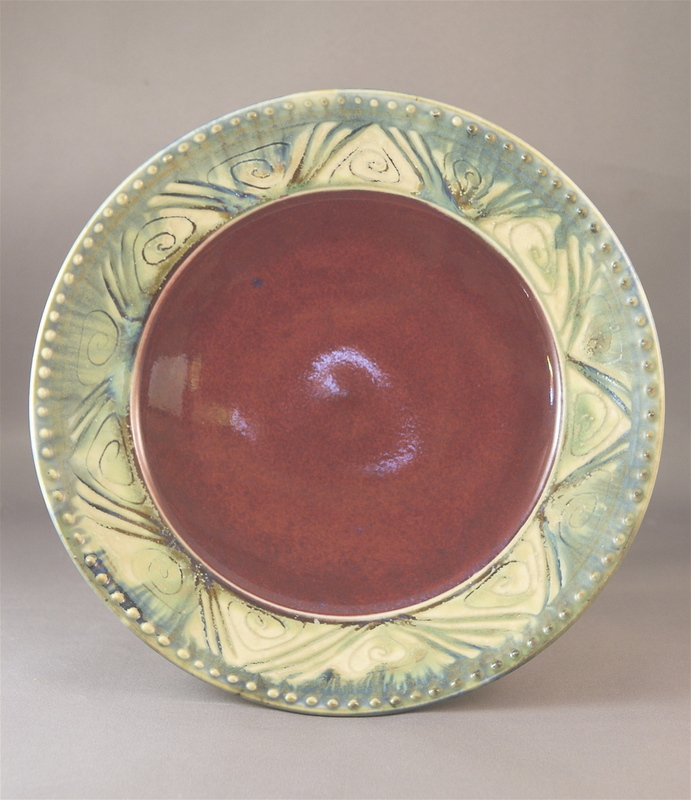 After drying completely, the pottery is loaded into a kiln and bisque fired 10 ± hours. The pieces are cooled 19± hours, before they are unloaded and ready to glaze. Multiple layers of glazes are applied by pouring and spraying. 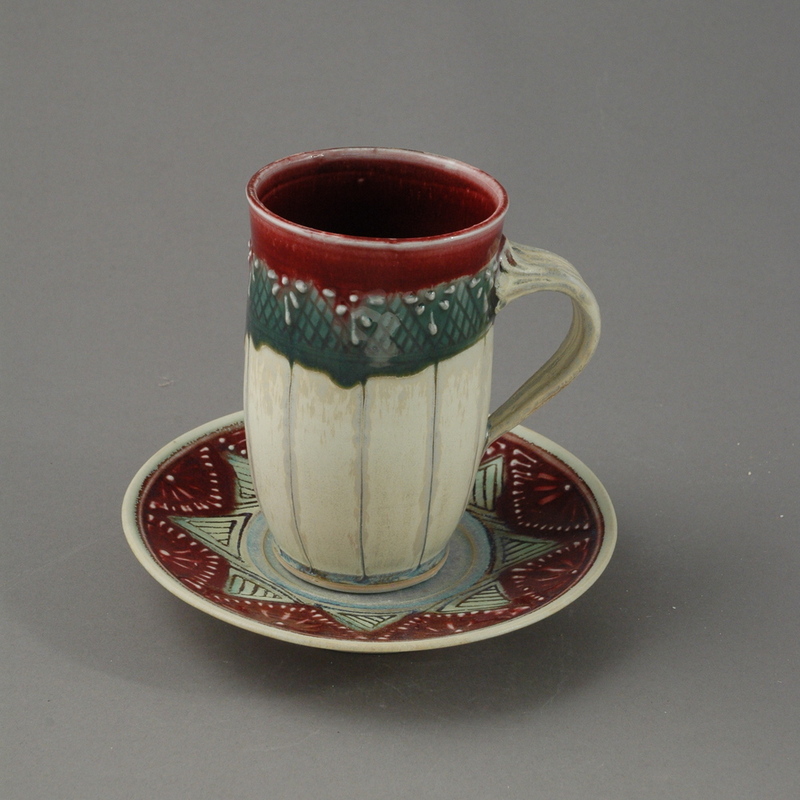 Wax is used to separate and develop glaze patterns. The wax must dry several hours between each glaze application to effectively repel subsequent glazing and control color response. Batik uses wax in a similar way to control dye colors on fabric. After glazing is completed, the pieces are loaded into a gas kiln to be high fired to cone 10-11, almost 2400º. This takes 10± hours, and the kiln is cooled another 18± hours before the pieces are unloaded, sanded, and priced according to their quality. 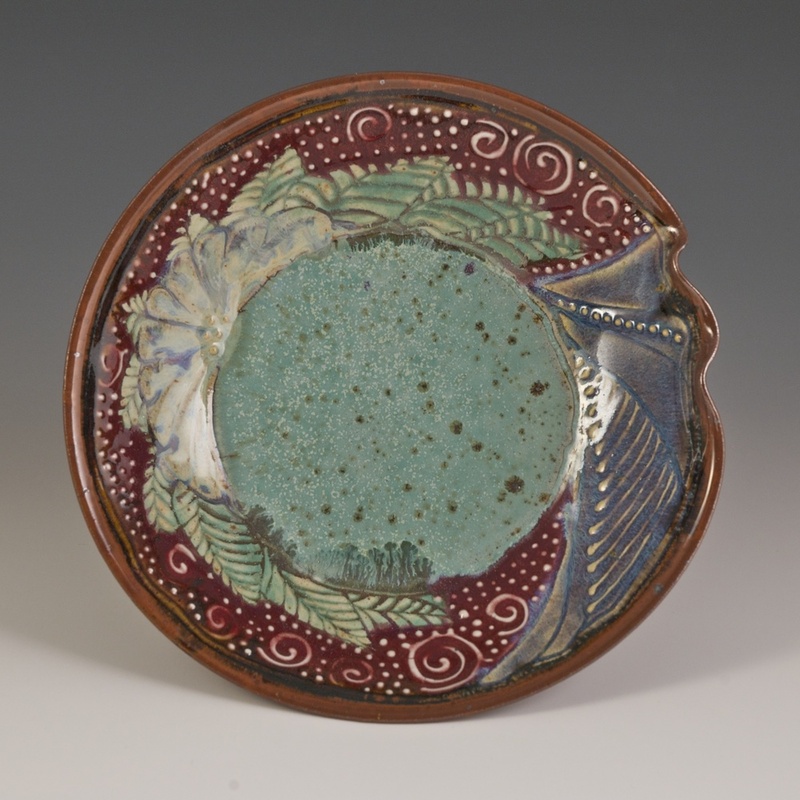 Unlike paint, glaze colors and textures varying greatly due to the type and length of firing, temperature of firing, position in kiln, ratio of oxygen to gas, and cooling. This contributes to the individuality of every piece. 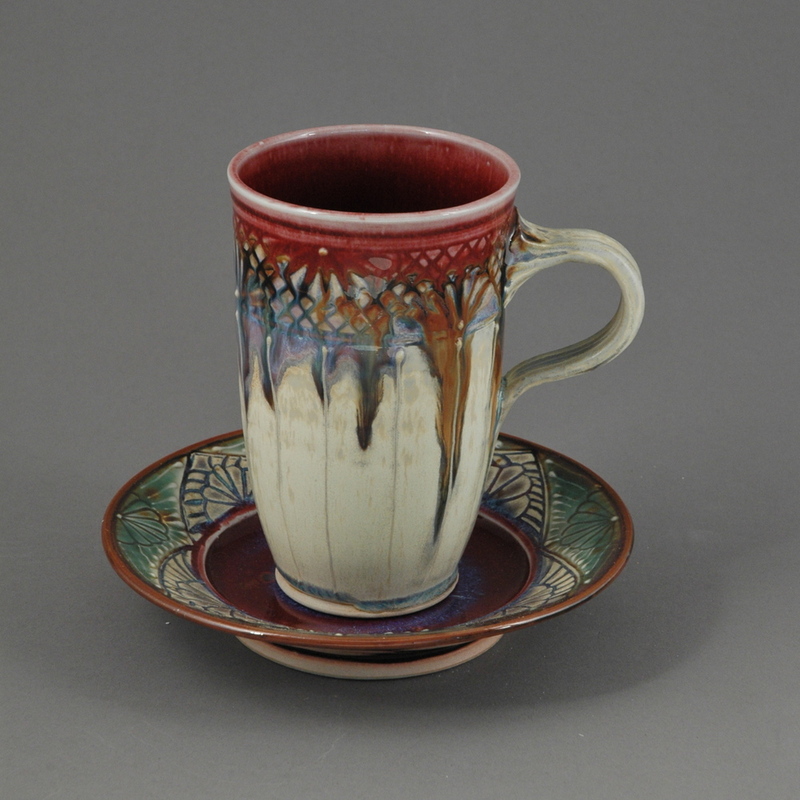 I have developed a palate of glazes to enhance without obscuring the carving and slip trailing designs. 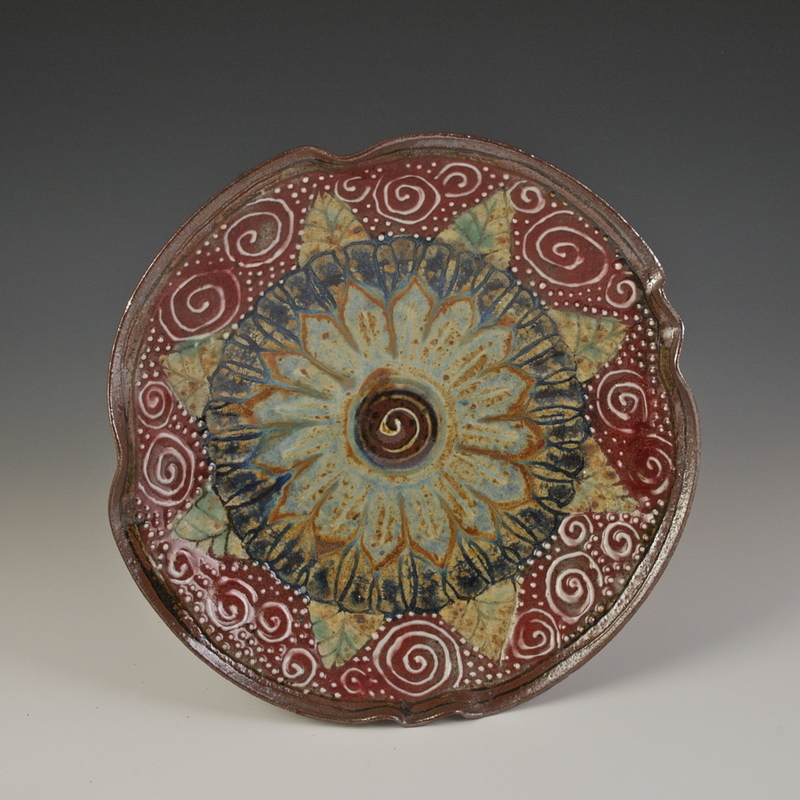 My signature work is distinctive, whimsical, and vibrantly colored pottery.